Apothecary Lounge - Tech that you know and love. Tech that you know and love. Modem and router are two different computer peripherals. They may look the same, but they actually function differently. And this is what the video below will talk about. It will tackle the main purpose of each device and how they work to give us an access to the internet. So, check this video out to know what is the difference between a modem and a router. Basically, the main purpose of these peripherals is to allow an internet connection. However, the modem can provide a connection limited to one device. While the router can provide an internet access to multiple devices including laptops, iPads/tablets and mobile phones. Most of the router nowadays are wireless, so your device does not need any wire or cable to be physically connected to it. There are different types of modems as well as routers. Before you buy one, you need to consider your purpose and where are you going to use it. Because routers that are for large businesses are more expensive than routers for home use or small businesses. If you have questions and concerns, please drop them down in the comment section below. We will try to assist you once we read your comments. You can also leave us any suggestion or topic you want us to post here. Do you know SHAREit? I bet you have heard about SHAREit thousand times already, since most of us nowadays use smartphones. And today, sharing file is not the same as before. But if you happened to know SHAREit just now, I will tell you what it is and how you can use this on your PC. Years ago, people rely on a file sharing platform that takes like forever to send a single file such as image or song. I am sure you know what I’m talking about. Yeah – the Bluetooth (alone). Bluetooth became our best-friend when all the file-sharing applications are not yet existing. The fact that we can share a song to our friends and family members is satisfying already. Not worrying about the time it consumes just to send or receive that particular file. Only when SHAREit was developed and introduced to us. SHAREit is one of the most popular file-sharing apps in the market today. With all the benefits you can get from it, you can consider it as the best. Developed by Paradox on 2015, it already gained millions of downloads in three years time. It comes with a lightning speed that allows the users to transfer files in a matter of seconds. And not only images or audio files can be sent through SHAREit, sending folders and applications from one device to another is also possible. Now, what makes SHAREit popular that people are choosing it out of many file-sharing apps in the market? Maybe because it is free, or, it is packed with different useful features. As a user myself, there is one thing about SHAREit that I admire the most. That is the capability of this application to run on different device, not just only smartphones but also on PC. Since smartphones have very small storage compared to computers, we sometimes consider transferring our files to PC which can support up to 1 or more TB of files. What we typically do is to use a cable to connect the two devices and start transferring. But it is a hassle at some point, when you can’t find the phone’s cable you misplaced and you can’t do anything about it. That is the reason why SHAREit for PC existed. Some of you might think and ask, how can SHAREit run on PC? That is what I am going to show you today. So, keep on reading and learn from the guide below. This is the step-by-step guide on how you can use SHAREit on your PC as your newest favorite file-sharing app. Step 1. The very first thing you need to do is to download SHAREit form both devices; smartphone to PC or computer to computer. You can get it from the App Store if you will download it for your mobile. If you are downloading for PC, then go to this site (insert site here / clickable link). Step 2. After downloading, install SHAREit. Just click the file and it will initiate the installation process. Follow the on-screen instructions until installed completely. Step 1. Open the SHAREit on both devices. On your smartphone, click Send button and tick all the files you want to be sent to your PC. Step 2. After hitting the Send button click Connect PC. SHAREit will automatically find the other device. Once the SHAREit on your PC appeared on your mobile phone, click the icon and the two devices will be connecting and sending transferring will start. Another way of transferring is by using the QR Code. Step 1. Choose the file you want to send and click the Send button. Step 2. On your smartphone, tap the Connect to PC > Scan to Connect. On your PC, click the Show QR Code. Scan the code on your mobile device. Connecting and transferring will start automatically. You can also use SHAREit and transfer files between computers. Follow the steps below. Step 1. Turn on the WiFi and connect both devices on the same WiFi network. Note: Sometimes, you cannot find the WiFi network so you need to create a hotspot on one of the computers and connect the other computer to it. Step 3. Click Connect to PC. SHAREit will automatically begin searching for the other device running SHAREit on same network. Step 4. When the name of the receiving computer appeared on the sending device, click on it and the two devices will be connected via SHAREit. Step 5. On the receiving PC, there will be a dialog box that will pop-up on the screen. It is the confirmation to accepting the access. Just click the Accept button. You may also check the box that says “Set as trusted device” so the next time you use these computers on transferring files, you do not need to confirm the access. Step 6. To transfer the files, drag and drop the chosen files to the SHAREit window. Or, you may click the Select files button, choose the files you want to be sent and click Open to start the transfer. While the transfer is in process, you can see the files information such as file name , file size and transfer speed. Once transferring is finished, click the Disconnect button. To view the files, click again the menu button and select File Received to open the window for the received files. SHAREit is one of the best file-sharing applications you can get for your PC. Aside from it runs on cross-platforms, it transfer files in a lightning speed which makes it very good for your large files. If you have queries and concerns on using SHAREit to your PC, please drop them down in the comment box below. We’ll be glad to assist you. Good movies are hard to come by especially when it is for free. The best movie releases to date cost some money. And you will have to wait for months before your favorite one comes out and be available to watch. But that could change with Showbox APK. The Showbox app is an Android application that makes it possible for you to watch any movies anytime. That is provided that you have a decent internet connection for streaming or downloading. But if that requirement is not an issue, then you can enjoy binge-watching on your smartphone all you want. Showbox is a streaming app for the Android operating system. It delivers tons of movies and TV shows available on the internet. If you are the type who loves watching movies and TV series, your Android smartphone should have Showbox APK installed. Otherwise, you are missing out on a lot of things. Update: Showbox isn’t legal, so guys you should download mobdro instead. Mobdro is a great showbox alternative, you can download mobdro from here. Installing the Showbox app is simple and quick. All you have to do is download the APK file to your local drive. Yes, you read it right. There is no Showbox from the Google Play Store so you will have to sideload it to install it on your Android system. Here is how you do it. Just follow the instruction carefully. First, make sure that your Android device is set to install Unknown Sources. If not, go to the Settings>Security>Unknown Sources and activate or enable it. Now download the Showbox APK on your internal memory or local drive. Once the download finishes, click on the APK file and follow the prompt for installation. When the installation finishes, you may now open the app and enjoy free video streaming. The Showbox is not a perfect app. Sometimes when you use it you might encounter some bugs and disconnections. But that rarely happens. This is due to server issues I think. Another issue worth mentioning is that some users cannot directly stream the video on their device. This restriction is due to an issue about location. There are countries that Showbox is not allowed to operate properly. If that is the case, your remedy is to install a VPN app. You can try Psiphon, TunnelBear, or anything you have in mind that can provide good VPN service. This will tell the Showbox server that you are in one of the countries that are supported. If we consider how much convenience the Showbox can deliver to us, those bugs are a small price to pay compared to buying those movies and TV shows using real hard earned money. I’m not saying that no one should pay for those movies. That is hardly my point. The point is that we deserve some free services once in a while. And with regards to what you can for when watching these movies, that will depend on your own discretion. Pay for your favorite movies and watch them in cinemas. That way we can support more quality movies to come out in the future. Use this app on your own accord. But try not to abuse it. Do you like what the Showbox is offering to its users? How is your experience with the app? Feel free to tell us your thoughts and ideas in the comment section below. Do you like shooting game and online PVP style of gameplay? If you do, then you must love the new gaming title that is available on most popular gaming consoles and platform. The Fortnite Battle Royale is an online shooting game that pits you against 99 other players in a remote island. If you have played Counter Strike before, you will be more familiar with playing the Fortnite Battle Royale. The game has a couple of modes but the most popular one is the Battle Royale where 100 players are expected to fight off each other till the last one is left standing. The game was developed by Epic Games and was introduced back in September 2017 for Xbox One, PS4, Microsoft Windows OS, and Mac OS. And in April 2018 the first mobile version for the iOS was also released. The developers promised that the Android version will soon arrive and further details will be revealed in the coming weeks. Fortnite Battle Royale is a free-to-play online shooting game that will put the player on an island against other 99 online gamers as well. If you like playing in co-op mode, you can also play with a squad of up to four players. The mission is to be the only one left standing. All over the island, you will find tools, medical kits, weapons, and other handy materials that you can use to ensure your survival. Aside from the other players, you will also have to avoid getting stranded outside the eye of the storm. If you found yourself outside of the range of the storm, your life will start to diminish. Thus, getting you killed in the process. Players of the popular Fortnite game including the mobile versions have been greeted with a sad announcement. The 50v50 mode was postponed and will be scheduled for release next week. As the version 3.5 update already rolled out yesterday to all involved platforms. The 50v50 mode is a nice addition to the already exciting game modes available inside the platform. But as of announcement, it seems that the new game mode will only be available for a week. And after that, it will resume back to development for improvement or to fix whatever bug is found while it came online. I’d say, make it permanent. And if it really still has to go to a lot of development, I hope they make it quick. That 50v50 mode sounds better especially for those players like me that get overwhelmed easily by the 99 other players off to get me killed. Another update that was announced to come “soon” is the feature for live streaming and replay. This will be great for those gamers who want to show off their shenanigans and skills while playing. But the people that will benefit this the most are those who do gameplay streaming for a profit. That means Twitch and YouTubers will take advantage of this feature. Players who wonder about getting snipe easily and constantly will also benefit from this. They will finally learn what makes them vulnerable inside the game and stop being a prey for the skilled ones. This is just a minor update to the game and the gameplay itself. Players after the 3.5 update will be able to build a fort in just one simple throw. 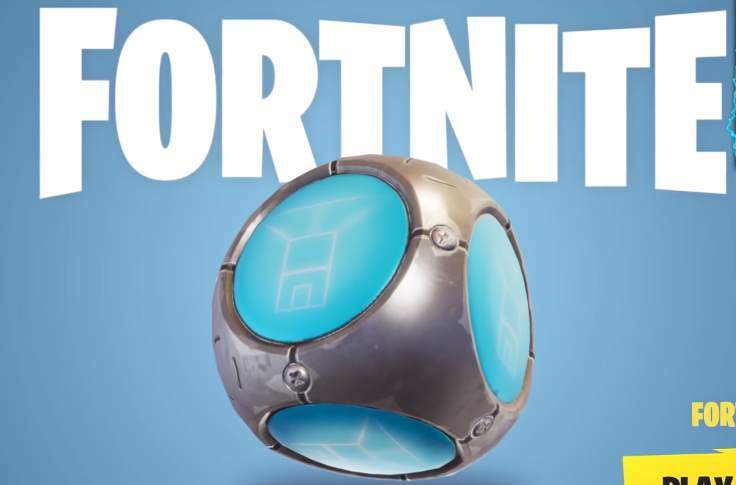 The portable fort or Port-A-Fort addition to the game will make it easier for players to defend themselves especially in open areas such as in the middle of the field or hills. Anyone can play the game using their supported devices free. Just download the game file and install. Then register to start playing instantly. Fortnite Battle Royale is playable on Microsoft Windows OS, Mac OS, PS4, Xbox One, and iOS. And in a few months, the Android version will join the list of supported devices. There are two main current game modes available inside the game. But once in a while, new game modes are being introduced such as the battle of five teams of 20, 50vs50 mode, and a squad of four versus 96 players that may or may not have a squad. The in-app purchases are specifically for customization purposes and strategic gameplay only. No item is sold to give any players an advantage over the others. So you will win using your own skills and ingenuity to build a strategy to win. Nominated in various prestigious bodies for its stunning graphics and featured in many popular media sites. The smooth gameplay and 3D graphics are not to be underestimated with. The Fortnite Battle Royale does not tolerate any cheating activities inside the game. Even those who play Solo mode but teams up with other players are not allowed to keep their activities. Anyone caught cheating or using cheat engines will be permanently banned on any Epic Games platform. The Fortnite Battle Royale is a game to watch out for. And with its growing popularity and support, we can expect that the team behind the game will continue to improve the experience for its gamers. As many exciting announcements about their upcoming updates are expected, it is no wonder that many avid online gamers will switch to this game title. If you like the Fortnite Battle Royale, share this article on your social media sites. And if you have some thoughts about the game, feel free to say it in the comment section below. We would love to know what you think about the game. Or if you have other features that you want to be added to the game, what would be it?